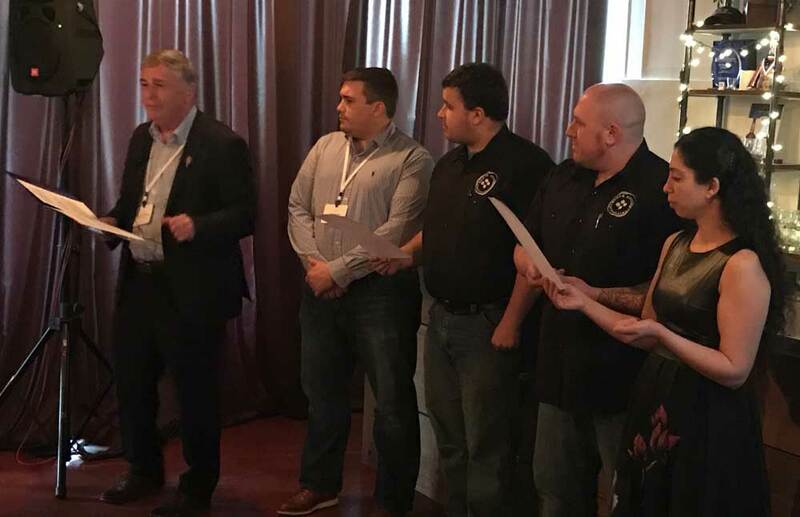 Industry body The Gin Guild welcomed four new members from the USA at its first non-UK installation ceremony this month. The member installation was held in Washington DC, following the Gin Summit organised by the American Distilling Institute, at the distillery of Jos. A. Magnus & Co. This was the first time an installation ceremony has been held in a distillery, and the new members were ‘installed’ in the presence of Christopher Hayman, the Chairman of the Gin Guild (whose family have been involved in gin distilling since 1863), and its Director General, Nicholas Cook. The new members swore the Guild oath to protect the spirit’s quality and production around the world, while symbolically holding juniper berries (the key botanical in Gin). Nicholas Cook said: “The aim of The Gin Guild is to bring together gin distillers and industry leaders and together we promote and encourage a commitment to excellence in gin distillation and industry custodianship of the spirit. 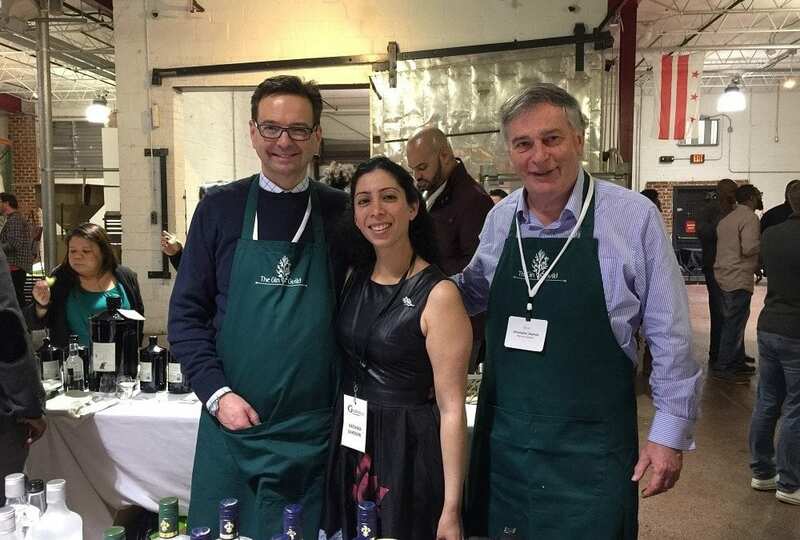 As part of that role many of the speakers at the Gin Summit were members of the Gin Guild, including two from the USA. These are exciting times for gin with bartender and consumer interest in the flexibility of the spirit driven by both a general renaissance in gin consumption as well as many new products, often with interesting contemporary twists on the traditional standard gin styles. 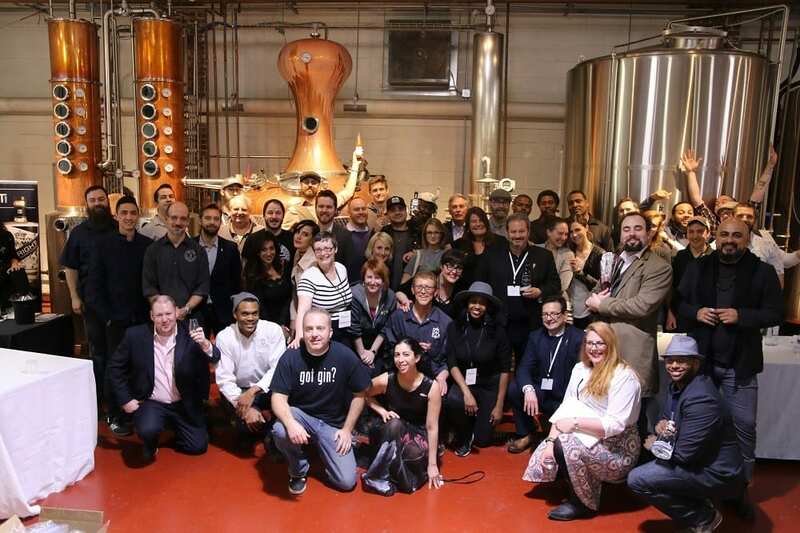 “Gin Guild members, reflecting gin production (and consumption), are international and include those from the UK, Belgium, Canada, Finland, France, Germany, Japan, Italy, Liechtenstein, Mexico, Norway, The Czech Republic, Spain, Sweden, and the USA. The Guild welcomed as brand owning members, in the rank of Warden Rectifiers, firstly Robert Cassell of New Liberty Distillery in Philadelphia, the Master Distiller originally behind Bluecoat Gin, whose latest gin from New Liberty will be out very shortly, and who also produces Conncullin Irish Gin at the Connacht Distillery in Ireland. Secondly, the Guild welcomed Jason P Barrett of Black Button Distilling Rochester, NY. Jason’s colleague at Black Button, Jeff Fairbrother joined as a brand-linked Rectifier and finally, in recognition of her role in gin promotion, the Guild welcomed Natasha Bahrami, owner of The Gin Room, a gin bar in Saint Louis, who also organizes Gin World consumer gin tasting events (one of which took place after the Gin Summit, hosted by another Washington DC distillery, One Eight Distilling). Membership is open to a range of gin industry players with various classes from Founder Wardens, who are appointed by the four founder companies, Bacardi, Diageo, William Grant and Sons and Chivas Brothers; Warden Rectifiers, who include distillers, producers and brand owners; and Rectifiers, who have roles in the production, distribution and marketing of gin, including leading bartenders, journalists, marketing experts and educators.